You may have noticed that I don’t do too much product promotion on this blog. But every now and again something comes up that is irresistible. So when the folks at décor asked me if I’d like to road test some of their lunchbox gear, I could hardly say no. After all, décor is an Australian brand synonymous with lunchboxes. 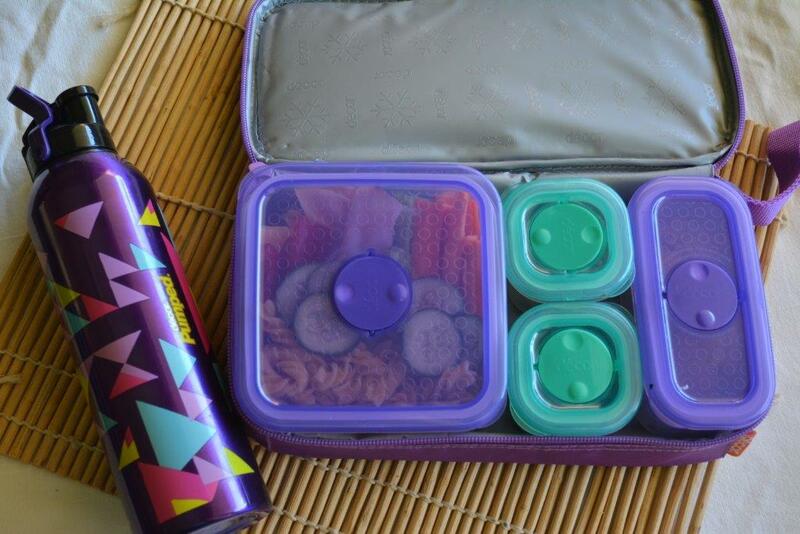 And this is a blog about lunchboxes. When I was at primary school in the 1980s, décor was the “it” lunchbox brand. 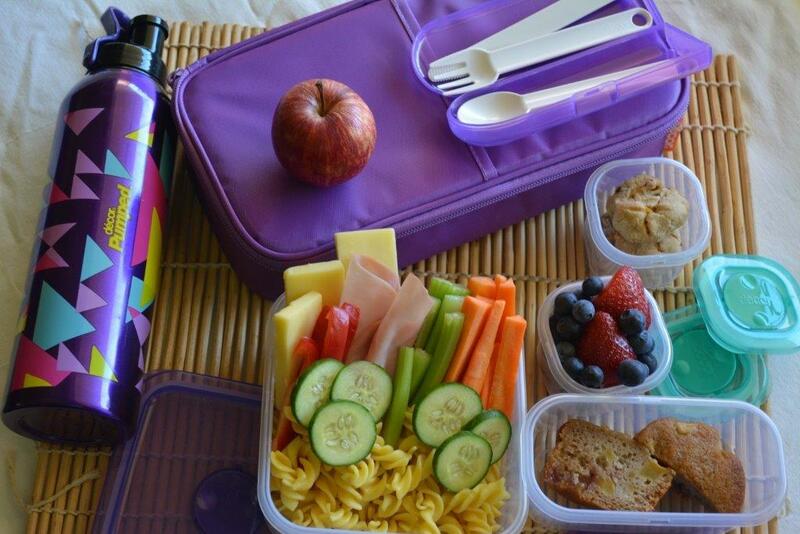 My school mates and I all loved our brightly coloured décor lunchboxes, especially when they came with a small water bottle that could be frozen and then put in the lunchbox as a divider, keeping food fresh throughout the day. It may not seem a big deal now, but back then it was groundbreaking stuff, especially for the legions of school kids who endured long summer days in classrooms without air conditioning and with no refrigerator to store food. Décor was at the cutting edge of lunchbox innovation back then and that one simple idea showed a dedication to improving lunchbox technology that has spanned the decades. Now, décor continues to lead the pack with insulated cooler cases, modular food containers and slimline ice walls. 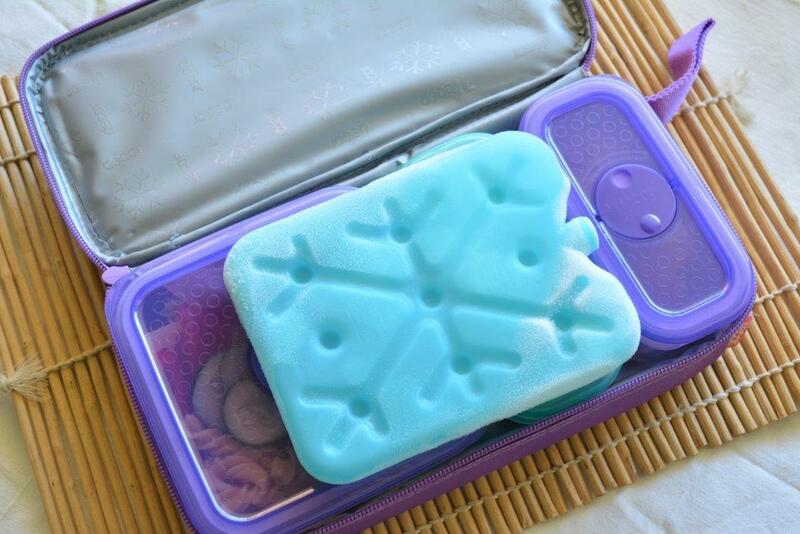 With triple layer insulation, the Compact 2 cooler case keeps food fresh for hours. I especially love the sturdy zip. There’s nothing more frustrating than a lunchbox zip giving up long before it should! The Lunch Break modular containers are a great way to cut down on waste from food packaging. They have been thoughtfully designed with Realseal technology to be leak-proof and air-tight. So yoghurt won’t spill and baked goods stay fresh. Best of all, you can use the modular containers in varying combinations, depending on the day’s menu. The containers are BPA free and dishwasher, freezer and microwave safe. Have you ever sent cutlery to school with your child, only to find that it disappears into the abyss? I’m always reluctant to send any of my kitchen cutlery, but also unwilling to send disposable plastic cutlery. Décor has the problem covered with its Realseal cutlery set. A reusable plastic knife, fork and spoon that clip together for convenience and in their own slimline container. The container fits snugly into the front pocket of the Compact 2 cooler case, as you can see in the below photo. 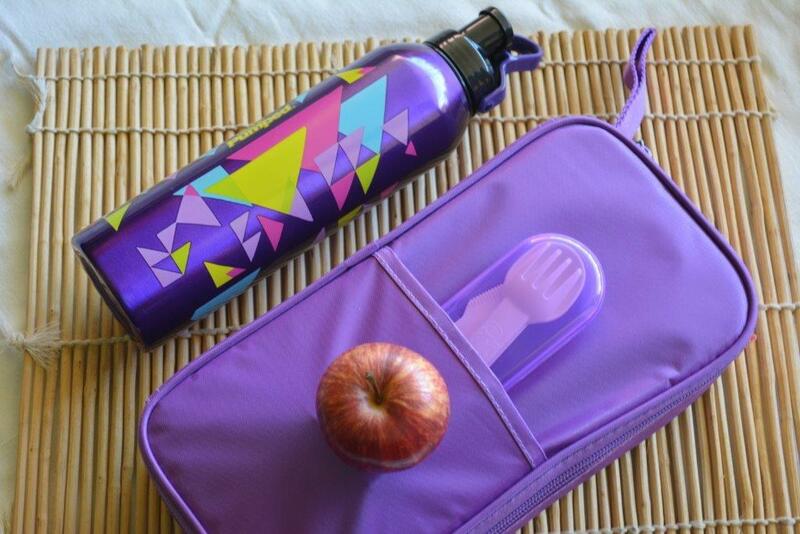 The Pumped water bottle comes in great colours and has a lockable flipseal to prevent spills. It’s also dental safe which is an important consideration for proper speech and jaw development in our little ones. The biggest problem for my family? We’ll all be fighting over who gets ownership of these beauties as they’re not only good for school lunches, but also for work. along with mixed fresh berries and an apple. It’s a lunchbox loaded with fruit and vegetables for fibre, cheese and ham for protein and calcium, pasta for carbohydrates, and just a small amount of added sugar for a treat. Décor products are available from various Australian retailers including Spotlight, Howards Storage World, Big W and independent supermarkets. For further stockist information, see the Décor website. Décor provided me with their products to try, in exchange for an honest review. All opinions are my own. I was always extremely envious of the kids who had the lunch boxes that included the fitted drink bottle – high playground cred!